SEA FURNITURE IS YOUR ONE STOP SHOP FOR ALL INTERIOR EXTERIOR NEEDS PRODUCTS AND SERVICES. 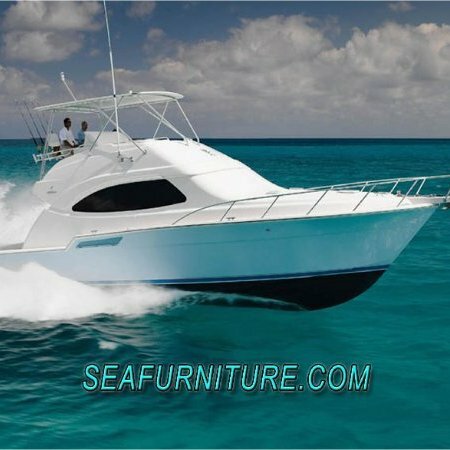 WE HAVE BEEN WORKING IN THE MARINE INDUSTRY SINCE 1980 OUR EXPERIENCE WILL HELP YOU MAKE YOUR BOAT MORE COMFORTABLE AND BEAUTIFUL. WE MANUFACTURE MADE TO ORDER HELM CHAIRS, SOFAS WITH STORAGE AND SLID OUT BED, BARREL CHAIRS, INTERIOR AND EXTERIOR CUSHIONS AND CANVAS COVERS, WINDOW TREATMENT. WE ALSO OFFER STAINLESS STEEL BOAT HARDWARE AND LED YACHT LIGHTING. SERVICE IS OUR MAIN BUSINESS AND WE WORK HARD EVERY DAY TO PROVE THAT. WE MAKE SURE ALL WE DO IS THE WAY YOU WANT IT. WE WILL LISTEN TO YOU AND MAKE SURE WORK IS DONE PER YOUR INSTRUCTIONS IN EVERY ASPECT OF THE PROJECT.